Building a Deck Project Overview! Please Enjoy our “Building a Deck” Guide! 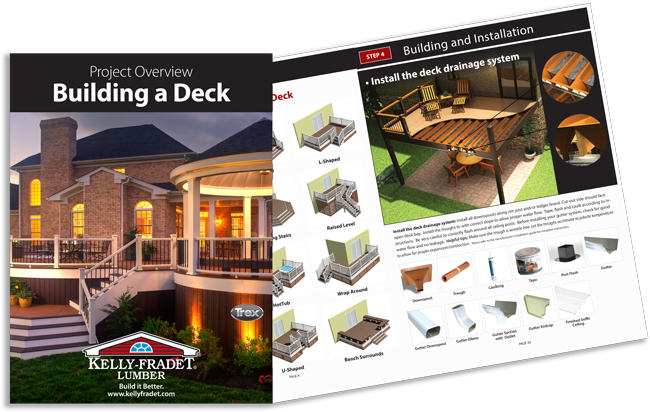 We hope you enjoy our detailed “Building a Deck” Project Overview, and use it to successfully plan and execute your new deck build from start to finish! Click the image at right or CLICK HERE to download your copy of the Deck Building Guide.